. @OSUCowboyGolf sophomore @matthew_wolff5 made an impressive PGA Tour debut last week at the #WMPO. After participating in the Waste Management Open in Phoenix, Matthew Wolff headed further west to Hawaii to rejoin his teammates on the Oklahoma State golf team. He proceeded to shoot -18 in the 54-hole competition to win by three strokes. 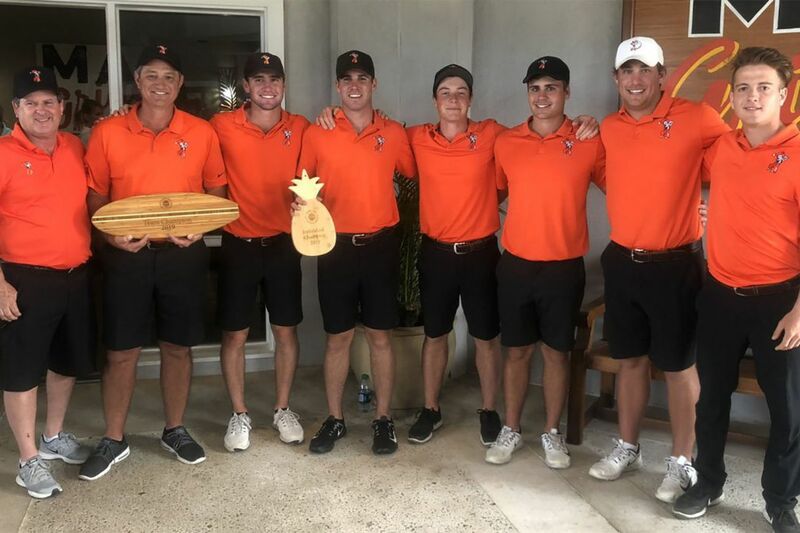 The Oklahoma State team shot -47 on the weekend to win the tournament at Waikoloa Beach for the second consecutive year. As for Wolff, he is four victories shy of the NCAA single-season record of eight shared by Tiger Woods and Matt Hill. Former @OSUMBB stars Tony Allen & John Lucas III joined the @ChrisVernonShow earlier today for #TuesdaysWithTony. Lucas looks back on his time at @OSUMBB. This is a quick minute and a half clip of an interview that John Lucas III and Tony Allen did together on the Chris Vernon Show. Lucas talks about his maturation after transferring from Baylor, and how Coach Sutton had a lot of influence in that. College baseball is a tough sport to predict, but D1 Baseball did their best to predict the field of 64 teams that will compete for the chance to head to Omaha for the College World Series. In the initial prediction, they have Oklahoma State has the 2 seed in the Louisville Regional. There are there along with #3 Minnesota and #4 Canisius. I’d say this is a pretty good reason why Derek White is ranked #2 in the country in the heavyweight weight class. So far this season, White is 21-1, including seven of those wins by pin.